Leadership roles are all around us, not just in a work environment. They can be applied to any situation where you are required to take the lead, professionally, socially and at home in family settings. Ideally, leaders become leaders because they have credibility, and because people want to follow them. The ability to lead effectively is based on a number of key skills. These skills are highly sought by teachers as they involve dealing with students in such a way as to motivate, enthusias and build respect. This article represents five advanced leadership qualities as emotional intelligence is the measure of an individual’s abilities to recognize and manage their emotions, and the emotions of other people, both individually and in groups. Where Reflective practice is, in its simplest form, thinking about or reflecting on what you do. Becoming charismatic involves paying careful attention to how you interact with other people; the traits that make up charisma are positive and appealing to others. Assertiveness means standing up for your personal rights - expressing thoughts, feelings and beliefs in direct, honest and appropriate ways and empathy is the ability to see the world as another person, to share and understand another person’s feelings, needs, concerns and/or emotional state. Organisational, where the central principle is alignment. 1. Emotional Intelligence:- Emotional Intelligence (EI or EQ – Emotional Quotient) is a more modern concept and was only fully developed in the mid-1990s. Emotional Intelligence is the measure of an individual’s abilities to recognise and manage their emotions, and the emotions of other people, both individually and in groups. Emotional intelligence is the one part of the human psyche that we can develop and improve by learning and practicing new skills. Emotional Intelligence is split between our personal and interpersonal skills. (a) Self-awareness: is the skill of being aware of and understanding your emotions as they occur and as they evolve. It is wrong to think of emotions as either positive or negative but rather as appropriate or inappropriate. Anger is usually associated with being a negative emotion, for example. However, anger can be a completely reasonable and appropriate emotion in certain circumstances – emotional intelligence allows us to recognise our anger and understand why this emotion has occurred. (b) Self-management: by being aware of your own emotions you can learn to manage them appropriately and proportionately. Self-management skills relate to the emotions you are feeling at any given time or in any given circumstance and how well you manage them. Fundamental to self-management is self-control. (2) Interpersonal Skills :- Interpersonal skills are the skills we use to interact with other people, they enable us to communicate appropriately and build stronger, more meaningful relationships. Emotional intelligence includes how we understand others and their emotions and our actions and behaviours towards them. (a) Social Awareness: is the skill-set used to understand the emotions and feelings of other people both individually and in group situations. Comprehension and acceptance of the emotions of others allows us to empathise, seeing things from their point of view and therefore developing a stronger bond and understanding. rapport. Rapport enhances the effectiveness of communication and is fundamental to building meaningful and lasting relationships. 3. Charismatic Personality:- Becoming charismatic involves paying careful attention to how you interact with other people; the traits that make up charisma are positive and appealing to others. The charismatic person uses their skills to get people on their side, perhaps from a professional, ideological or social point of view. For these reasons charisma is often linked to leadership skills - being charismatic can be an important trait of a successful leader. · Being Confident:-Charismatic people are confident people – or at least have the ability to appear confident. Being confident to communicate in a variety of situations, one-to-one, in groups and in front of audiences is a skill that many people struggle with. A charismatic person can not only appear confident in communication but they can also help others feel confidence too, thus aiding and enhancing the communication process. · .Showing Optimism:- As with confidence charismatic people are, or have the ability to appear, optimistic. This means they try to see the best in other people, situations and events. Charismatic people have the capability to encourage others to see things as they do, thus they can enthuse and enable others to feel more optimistic. · Being an Emotional Player:- Although charismatic people are very good at showing their true emotions when this works to their best advantage, they are usually also good at masking or acting in a way that makes others believe what they see. The analogy of a swan is useful in this example, calm and serene on the surface but with a lot of hidden activity out of view to the casual observer. · Being Interesting and Interested:- Charismatic people are both interesting – others want to listen to what they have to say, and interested – they want to listen to what others have to say. Charismatic people are often good storytellers, with an engaging manner when speaking and explaining. They are able to communicate their message clearly and concisely, being serious and injecting humour where appropriate to keep their audience attentive and focused. When they are in one-on-one or small group situations, charismatic people will use open, relaxed, body language including lots of eye contact. · Demonstrating Intelligence:- As charismatic people want to be able to communicate effectively with others they are usually good at initiating conversations. They tend to be intelligent, with an up-to-date knowledge on current affairs and rounded general knowledge. This makes small talk, the sometimes awkward beginnings of conversations, easier. feelings and beliefs of other people. Assertiveness concerns being able to express feelings, wishes, wants and desires appropriately and is an important personal and interpersonal skill. In all your interactions with other people, whether at home or at work, with employers, students or colleagues, assertiveness can help you to express yourself in a clear, open and reasonable way, without undermining the rights of yourself or others. Accepting responsibilities and being able to delegate to others. Regularly expressing appreciation of others for what they have done or are doing. Empathy is a selfless act, it enables us to learn more about people and relationships with people - it is a desirable skill beneficial to ourselves, others and society. Phrases such as ‘being in your shoes’ and ‘soul mates’ imply empathy - empathy has even been likened to a spiritual or religious state of connection with another person or group of people. Being empathetic requires two basic components - effective communication and a strong imagination; shared experiences can also help you to empathies. · understanding is the result of effective communication. This involves overcoming the various barriers to communication, being able to express yourself effectively verbally and non-verbally, by active listening, clarification and other interpersonal skills. · Strong Imagination:-In addition to effective communication good powers of imagination are required to empathise with others. Everybody sees the world differently, based on their experiences, their up-bringing, culture, religion, opinions and beliefs. In order to empathise with another person you need to see the world from their perspective and therefore need to use some imagination as to what their perspective is based on, how they see the world and why they see it differently from you. Many people find it easier to empathise with people who are closer to them and have more shared experiences and views. Ethical leadership requires navigation by ‘moral compass’. It requires you to abandon the idea that ‘the end justifies the means’, and instead embrace the idea that maybe it’s the other way round. Not all your decisions will necessarily be popular, but an ethical leader, whose life and leadership is centered on principles, will find that they have true power, in that they and their decisions are trusted by those who follow them. 1. Khan M.S. (1983) Teacher Education in India and abroad, New Delhi, Ashish Publishing House. 2. Shankar V. (1984) Education of Indian Teachers, New Delhi Sterling Publishers. 3. Patil V. (1996) ‗Teacher‘s Handbook‘ Pune, MSCERT. 4. Kadam – Chavan (2006) Primary Education : Problems and measures Latur, Sanskar Prakashan. 5. Khan M.S. 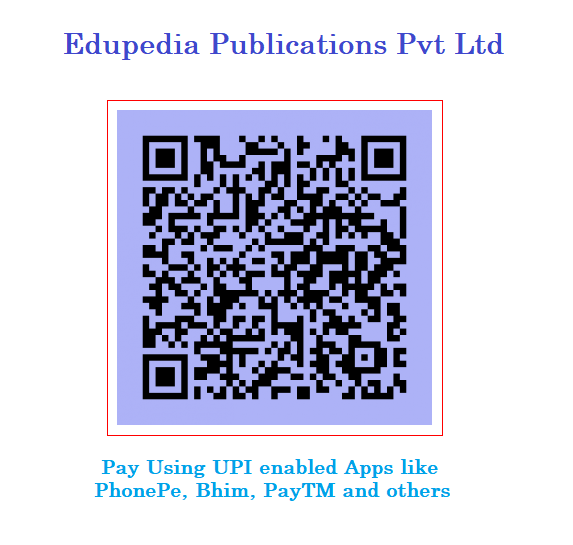 (1983), ‗Teacher Education in India & abroad‘, New Delhi, Himalaya Publishing House. 6. Kohli V.K. (1992), ‗Teacher Education in India,‘ Ambala (India), Vivek Publishers. Stephen P.Robbins”Essentials of organizational behaviour”,Prenpice-Hall of India Private Ltd.,1997. Ernest Dale”Management:Theory and Practice”,Mc Graw Hill,Kogakusha Ltd.Tokyo,1973. Louis A.Allen”Management and Organisation” Mc Graw Hill Book Co. New york. James M. Bdurns”Leadership” Harper and Row,New York,1978.